On the premise that sometimes knowing the wrong way to do something helps in figuring out the right way, here is a quote from the World Socialist Web Site (WSWS) about the victory of Syriza in last week's national election in Greece. The International Committee of the Fourth International rejects with contempt the political excuse offered by the petty-bourgeois pseudo-left to justify support for Syriza and its pro-capitalist agenda—that a Tsipras government is a necessary “experience” for the working class, from which it will somehow come to understand the necessity for genuinely socialist policies. Such sophistries are advanced only to oppose the emergence of a revolutionary movement of the working class, a development possible only through a relentless political exposure of Syriza. This task is undertaken by the World Socialist Web Site in order to prepare workers and young people for the decisive struggles they face in Greece and internationally. This is from an article on Jan. 27. And here's another one posted the next day, making the same point. (In both cases, the underlining is by me). Another of their arguments is that one must support Syriza, so that the working class can go through these experiences and learn from them. This is pure cynicism. Given the enormous dangers posed by a Syriza government, the task of a Marxist party is to expose the class interests represented by Syriza, to warn the working class against its consequences and provide it with a clear socialist orientation. This is how the World Socialist Web Site and the International Committee of the Fourth International participate in the “experiences” in Greece. The numerous pseudo-left groups cling to Syriza because they represent the same class interests as this party. They speak for better-off layers of the middle class, who fear an independent movement of the working class, and who are concerned to ensure their own social elevation within the bourgeois order. These quotes are both examples of what Marxists call sectarianism. You can read Trotsky's classic diagnosis of this degenerative political disease here. What I find striking is how in both these quotes the word experience (or experiences) is in scare quotes. The ostensible target of this criticism is other “pseudo-left” groups, but the real target is the masses: it is their experience that is being denigrated (“rejects with contempt”) with these scare quotes. They voted in their millions for a party whose Greek acronym stands for Coalition of the Radical Left. Nothing like this has happened in Europe in more than half a century. The election has also aroused the hopes of millions of other victims of savage austerity in Spain, Portugal and Italy. It marks the upsurge of a mass movement seeking radical social change. If you don't find this important, then you aren't a revolutionary. Sectarians see things differently. What they see is – to use a prefix much favored by WSWS writers – a 'pseudo' experience. Nothing significant happened in the Greek election. “Syriza’s election victory does not express a political development, a step forward, progress or anything of the kind by or for the working class.” For them political analysis is quite simple: what happened is not a revolution, hence it is reactionary. One bourgeois party replaced another bourgeois party in power: that is their reading of the election. To be sure, Greece is still a long way from a revolutionary overthrow of capitalism, but you hardly need the accumulated wisdom of Marxism to see that. What you do need that wisdom for is to properly assess whether or not this experience is a step towards that ultimate goal, and use that assessment as the basis for intervening in the political life of the masses. Sectarians aren't interested in steps, or should I say “steps”. For them the Syriza victory doesn't count as a step forward. But what would count? Apart from more people reading the WSWS or joining the SEP, these sectarians have no answer for that, and see no pressing need to come up with one. Marxists use a category like “bourgeois party” to understand political reality more deeply, but in the hands of a sectarian such a category becomes devoid of content, and little more than a form of name-calling. Thus we are told by the WSWS that in “its origin, social composition and politics, Syriza is a bourgeois party” comparable to Barack Obama and the Democrats. In fact, the core of Syriza comes from the Eurocommunists who split from the pro-Soviet wing of the Communist Party in the late 1980s. Stalinist parties are not revolutionary parties, but Trotskyists have never simply labeled them bourgeois because this distorts their origin and the specific nature of their relationship to the working class. Syriza eventually evolved into an umbrella organization for 13 groups, including social democrats, Maoists, Trotskyists, left ecologists and liberals. Again this is not a revolutionary party but neither is it a conventional bourgeois party: to that extent at least, the featuring of Radical Left in its name is not false advertising. And that matters because millions of voters came to identify their aspirations with Syriza precisely because they saw it as a radical departure from the mainstream. Nor are those aspirations just for vague promises of hope and change a la Obama: they are very clearly for an end to austerity. Such distinctions are important for revolutionary Marxists but not for sectarians. “Sectarians are capable of differentiating between but two colors: red and black. So as not to tempt themselves, they simplify reality. They refuse to draw a distinction between the fighting camps in Spain for the reason that both camps have a bourgeois character” (Trotsky). Another way of saying this is that sectarians have a kitchen-sink approach to politics. A good example is the constantly used epithet “pseudo-left” on the WSWS. If you unpack this phrase, what it means is that everyone else on the left isn't left at all, they're all just “pseudo-left”. This includes any and all parties calling themselves Marxist or Trotskyist or revolutionary socialist. The only truly left party on the planet is the SEP. Everyone else belongs in the sink of “pseudo-leftism”. Here the rhetoric gets so far removed from reality as to become delusional. Sectarians have only contempt for “experience” but they have enormous faith in propaganda. 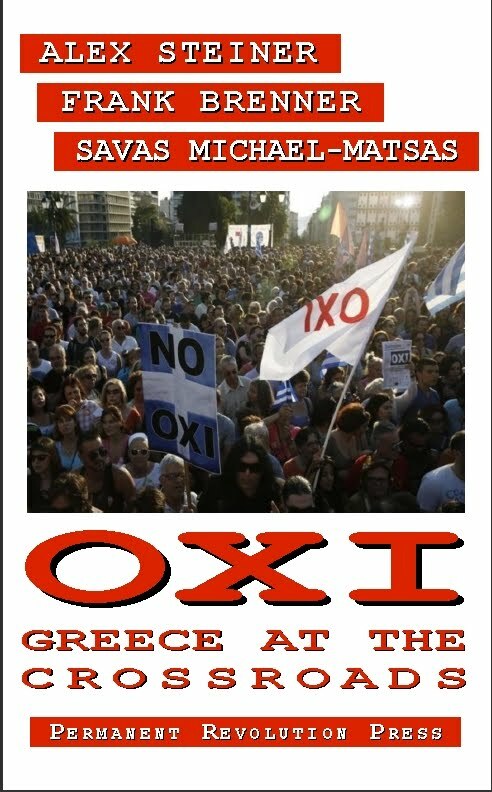 In their view, it is “sophistries” to say that the Greek working class needs to go through the experience of a Syriza government “from which it will somehow come to understand the necessity for genuinely socialist policies.” What the workers really need is “a relentless political exposure of Syriza”, which is to say, propaganda by the WSWS. The second quote hammers home the same point: it is “pure cynicism” to imagine that “the working class can go through these experiences and learn from them”. Instead, “the task of a Marxist party is to expose the class interests represented by Syriza, to warn the working class against its consequences and provide it with a clear socialist orientation” ... in other words, propaganda. Which raises an important question – how does the working class learn? Does it learn primarily from propaganda, no matter how “relentless”, or does it learn primarily from its own experiences, with or without scare quotes? The SEP, which is vehemently materialist in its stated philosophical views, is actually idealist when it comes to its politics: propaganda matters, experience not at all. But this isn't how the real world works. Nor is it how Marxists have traditionally understood their task as revolutionaries. Marxists aren't contemptuous of the experience of the masses; on the contrary, they do everything possible to engage with that experience. What does engage mean in this context? Trotsky addressed this in The Transitional Program: it means finding a bridge between the present situation – in Greece, the fight against austerity – and the fight for socialism. In the case of Greece, engaging with the masses means putting demands on Syriza which can mobilize broad support. Employment in particular seems to be what in American political parlance is called a “wedge issue” – an excellent phrase that revolutionaries should adopt. In Greece we need a program of demands addressed to “wedge issues” – demands designed to drive a wedge between the deep desire of the masses to end austerity and the obscene wealth of the elites who cannot accommodate that desire. Such a program would work to activate mass struggles and create the conditions for workers and young people to learn from their own experiences that only socialism will bring an end to austerity. This really would be a revolutionary policy, in stark contrast to the pseudo-revolutionary rhetoric of sectarianism. Marxists would disagree that the alliance with the Independent Greeks was a “necessary evil', but it's not enough just to dismiss such an argument or denounce it. The points about the other parties are entirely true, and the voters who backed Syriza wanted them to form a government. 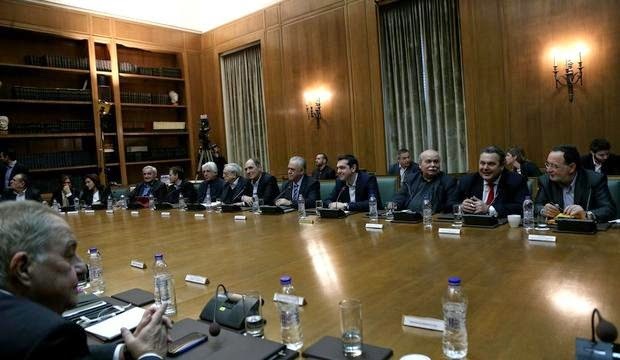 Under these circumstances, it would seem that a minority government would have been possible, and that the Syriza leadership opted for a formal alliance, including handing the crucial Defense Ministry to the Independent Greeks, to give themselves some political 'wiggle room'. This raises a crucial question: can you fight austerity and yet be pro-capitalist, as the Independent Greeks are? This person still seems to think that's possible, and no doubt he is far from being alone in this regard. If Greek revolutionaries are ever to get a hearing from such people, they will have to inoculate themselves against sectarianism. I don't think the WSWS was saying workers were stupid. They were criticizing, as Trotsky did in 1938, the so-called leadership of the pseudo-left organizations that led workers to vote for Syriza. There is a difference. I also don't think reading the WSWS and joining the SEP and their movement is a small matter. In fact, it would represent a sign of growing class consciousness if workers started joining the SEP in big numbers. Of course if millions of workers started reading a web site that claims to be defending revolutionary socialism such as the WSWS it would mark a big advance in class consciousness. But the problem with the WSWS is that they have no way of getting there because they have long since abandoned the Transitional Program of the Fourth International and the theoretical foundations of Marxism. Again I urge you to read our comprehensive critique of the WSWS in our two book length polemics if you want to get the full picture. I've been reading the WSWS for 12 years now, and have met and spoken with some of its leading thinkers. I disagree there is any such undercurrent. I've been very pleased, for example, with their support for the refinery workers on strike in the U.S. and their call for a break with the corrupt trade union bureaucracy, and a further call to form their own rank and file organization to agitate for a strike of all 30,000 workers and an appeal to other sections of the working class for a general strike. The WSWS has always received a positive response from workers whenever they go to interview and report on the major strikes that have occurred in the last 17 years. Check out their YouTube channel to get a sense of what workers think of the SEP's program. The orientation of the WSWS/SEP has always been towards building a working-class party, and to never support phony pseudo-left organizations like Syriza. A mass movement behind Syriza is a dead-end, and it is to the WSWS' credit that it has the courage to point this out while nearly every other pseudo-left organization gives some sort of support for it. http://permanent-revolution.org/polemics/downward_spiral_ch08.pdf See the comment starting on page 211. But you should read the entire last chapter as there we sum up our assessment of the WSWS. I will be glad to continue discussing with you if you read some of this material. Of course I've read the Transitional Program. And it was the WSWS that introduced me to it. They have it posted on their Marxist Library section. The WSWS writers' frequently cite the opening line of the program in their articles: "The world political situation as a whole is chiefly characterized by a historical crisis of the leadership of the proletariat." This fact is the reason why I support the SEP because it is the only party of which I am aware that is attempting to build a mass movement of workers, rather than attempting to unify the "left". Like I said, everywhere the SEP and the WSWS goes to talk to workers, it is not with sneering contempt but with sympathy and with open ears. They have reported on numerous strikes, often in workers' own words. Every time, it has been a moving experience, and a class-unifying one. I don't know if I'm going to have time to read everything you've posted as it's quite lengthy, but if there's something specific you'd like to cite as evidence of my supposed miseducation I'd be willing to listen. Of course the WSWS has the Transitional Program posted on their Marxist Library section. They consider it something of a relic, to be exhibited in a museum much the same way mummies are exhibited. It is part of a mythology which they have created about themselves as the "ONLY" legitimate heir to the traditions of Trotskyism. But the Transitional Program plays no role in the practice of the WSWS, which today resembles not the traditions of Trotskyism, but of those sectarian groups against which Trotsky polemicized in the 1930s. Have you ever heard the WSWS quote these words from the Transitional Program? "The strategic task of the next period – prerevolutionary period of agitation, propaganda and organization – consists in overcoming the contradiction between the maturity of the objective revolutionary conditions and the immaturity of the proletariat and its vanguard (the confusion and disappointment of the older generation, the inexperience of the younger generation . It is necessary to help the masses in the process of the daily struggle to find the bridge between present demand and the socialist program of the revolution. This bridge should include a system of transitional demands, stemming from today’s conditions and from today’s consciousness of wide layers of the working class and unalterably leading to one final conclusion: the conquest of power by the proletariat." Where are the "transitional demands" of the WSWS? 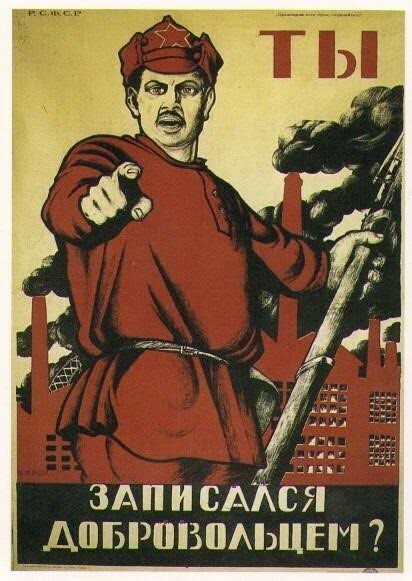 If you think calling for the building of “new working class parties” that are already committed to carry out a social revolution, as the ICFI/WSWS has done, is a transitional demand then I am afraid you do not know the difference between transitional demands and the old maximum program of the Second International. Also don't forget that Trotsky was writing at a time when there were mass Communist Parties and Social-Democratic parties and there was a living tradition of socialism among workers. That situation hardly exists today so the need for finding a way to bridge the gap between the present consciousness of the working class and the objective requirements of the situation is today posed far more sharply than it was in the 1930's. It cannot be resolved with pseudo-revolutionary slogans and denunciations. But that is all you get from the WSWS. As far as the sympathetic response by the striking oil workers to the WSWS coverage, I am not surprised. Given the near total blackout of the struggles by these workers in the mainstream press they would welcome any media attention to their plight. If FOX News showed up they would probably also get a sympathetic response. The question you really need to ask is what relationship has the WSWS forged with these workers beyond a sympathetic response? Yes the WSWS provides journalistic coverage of the oil workers strike, but it that the only responsibility of revolutionary socialists toward workers involved in a struggle? Or is there not a requirement for participating and intervening in these struggles? Despite your less than favorable reasoning for the WSWS’s posting of the TP, I am having trouble reconciling your two statements. It seems like you’re shooting from the hip here. "The right to a job: The right to employment is the most basic of all. Without a steady, good-paying job, it is impossible to satisfy all other needs. The right to a livable income: Wages are under relentless attack, and the current federal minimum wage condemns millions to poverty. It must be replaced by a guaranteed annual income that covers all needs. The right to leisure: To improve conditions of life and provide jobs for the unemployed, the workweek must be shortened. Workers should earn a full-time income based on a 30-hour workweek. The right to decent and affordable housing: The SEP demands an immediate halt to all foreclosures and evictions. All mortgages should be restructured to affordable levels, indexed to income and employment status. The right to utilities and transportation: There must be an immediate end to all utilities shutoffs, which affect hundreds of thousands of American families every year, and access to affordable quality transportation must be guaranteed to all. The right to culture: Access to art and culture is a basic component of a healthy society. Yet, like everything else, it is under relentless attack." "The demands raised by the SEP are not separate from the goal of socialist revolution. Rather, each demand by its very nature raises a challenge to the material interests of the corporate aristocrats. As they encounter the resistance of corporations and the capitalist state to their legitimate demands, working people will see ever more clearly the need for the revolutionary transformation of society. 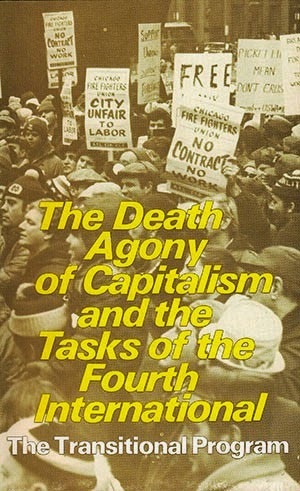 The fight for these demands strengthens the working class, unifies its disparate struggles, and in each case poses the necessity of taking political power and establishing socialism in the United States, as part of the socialist reorganization of the world economy." Allow me to clarify re: striking oil workers. By “sympathetic response” I didn't mean to suggest only because they were interviewing/covering the workers. But they were agreeing with the WSWS’s reporters as they explained the union bosses’ connections to the Democratic Party and the Obama Administration, the need for a general strike, and other issues which got the WSWS reporters harassed and threatened by the trade union bureaucracy upon hearing of the WSWS’s socialist intervention. As far as I am aware, the WSWS/SEP is the only organization/party attempting to bring their arguments directly to the picket lines of this most important, potentially capitalist-breaking strike, and demanding the formation of rank and file committees free of the bosses’ influence. Would the bureaucracy call the police on the WSWS if this wasn't going to have an impact? As far as your critique of the WSWS, I am aware of it—I heard about it from reading David North’s and other writers’ polemics against you on the WSWS. The reason I am here today is because based on my own experiences, I don't agree with your critiques, and I was hoping to get a clearer understanding of what you meant. As far as I can tell from our discussion so far, it seems like you are talking about an entirely different organization. 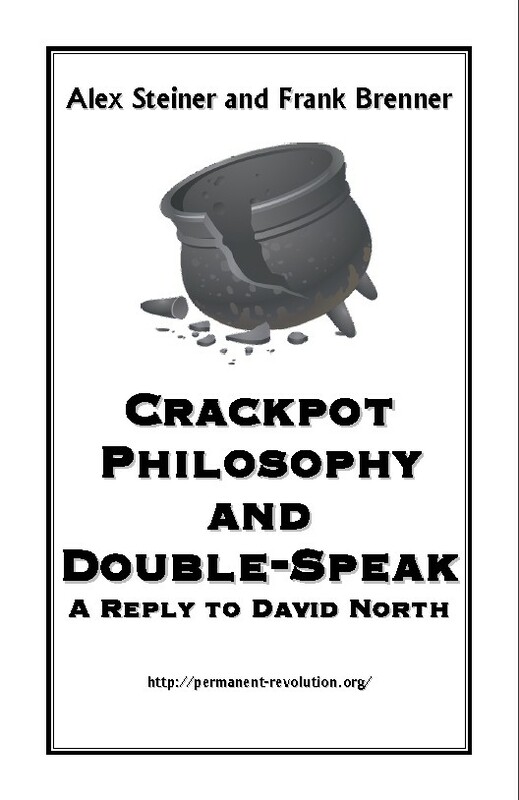 "I am aware of it [our critique of the WSWS]—I heard about it from reading David North’s and other writers’ polemics against you on the WSWS...I don't agree with your critiques..."
"Yes, I have heard of this critique of the book of Genesis from listening to Pastor John's sermons and other members of my church. Based on my own experience I don't agree with it."